In prehistoric ages, humans had to constantly come up with new ideas and methods to help them survive. The persistent need of improving whatever exists in order to survive in a better way led to innovation. Innovation occurs on various levels in our daily lives. It could be the use of a new product which was innovated recently by manufacturers, or the use of a new method that makes it easier to live life. Today, industries, companies, and individuals innovate on various levels to succeed in their objectives. Different industries have different viewpoints regarding innovation. 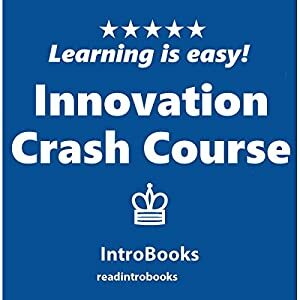 There are over 40 different definitions of innovation, and every definition describes it according to the perspective of the individual or group authoring the definition. But all of it grinds to the fact that innovation happens when something new comes into existence. It could be a thought, a process, a method, or a product. Innovation is limitless and does not restrict itself to certain aspects only. Innovation has existed since the existence of humankind itself. Humans have introduced different products, ideas, and services ever since they existed as hunters and gatherers. Whether it was the invention of the first wheel, the ability to harvest grains and turn it into the food we eat, or the use of fire to cook, everything required humans to come up with new ideas that can improve their current standards of living. Now we are dealing with innovation on a more complex level since we have already reached a point where our basic needs are met very effectively. This is why innovation has become so central to businesses and customers.